Pity you can’t cook with these! After a long and tiring day, you can attempt to unwind and soothe yourself with aromatherapy oils. A form of natural living, it induces relaxation, improves health and elevates your mood with the essence of herbs with medicinal properties. Having an essential oil diffuser allows you to create a calm and relaxed atmosphere around you at all times. Help your mind and body relax with the benefits of these essential oil diffusers. Create a haven for a blissful night sleep. The ultrasonic waves enhance the essential oil and produce a soothing mist throughout your room. With a 500ml water tank, you’ll be able to surround yourself with fragrant mist for up to 10 hours. It’s also completely safe, with an automatic shut-off for when the diffuser runs out of water, and you’ll experience a gentle ambience because of its soft lighting. Cubicles and office rooms tend to be dry and stuffy without proper air circulation. The humidifier and essential oil diffuser combination elevates the air ventilation throughout larger spaces. You’ll no longer be troubled by the musty smell of the carpet. Enjoy the double output mist diffuser – perfect for a bigger coverage area. Keeps your office smelling fresh and inviting. 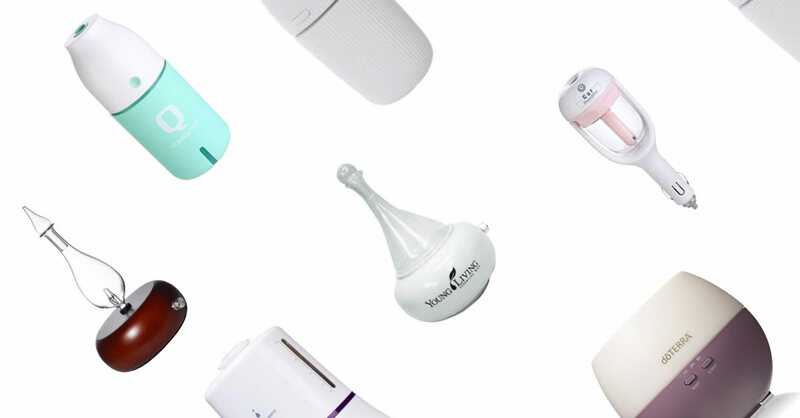 Bring this diffuser with you wherever you go. Fairly light and certainly no trouble to carry around, this essential oil diffuser with a USB cable is compatible with any power bank you use. Ergonomically designed in the shape of a bottle, you can securely place it in your bag. Place a few drops of essential oil into the tank and release the comforting scent of your choice. This diffuser silently increases the humidity in the air around you and purifies the air while reducing the allergens. All this, without interrupting your good night sleep. The essential oil diffuser is able to function up to 8 hours long, is compact, and lightweight. You can easily bring it around with you wherever you go. Breathe excellent quality air no matter where you are. Are you highly sensitive to allergens, unable to stand the chemical based room spray fragrance? With a nebulizing essential oil diffuser, you can experience more organic and pleasant air to breathe. Feel invigorated with the spray mist filling your home, saturated with the essential oil to soothe and alleviate respiratory ailments. This essential oil diffuser is designed in white ceramic, with a chamber made of glass. With extended coverage for large and spacious areas, it repels insects and mites far away from your work or living space. Amplify your well-being and promote alertness through the therapy of smell. Stay hydrated with healthier skin and eyes even during long hours of driving with this aromatherapy essential oil diffuser. It slowly disperses and circulates humid air into the air conditioning within your car, allowing you to feel calmer. Just plug it into the charger outlet in your car and feel fresher, immediately. Here’s a quality essential oil diffuser at an affordable price. The ultrasonic diffuser is able to vaporise water with advanced diffusion technology for up to 6 hours, releasing a calming and stress-relieving fragrant mist. Experience a peaceful surrounding the moment you set foot in your house, chasing away the exhaustion and fatigue. This one’s an ideal essential oil diffuser to create a purifying living space. With a selection of time settings, you will be able to pre-set the diffuser to spray ultra-fine mist all over your home at specific intervals. Creatively designed, it resembles an ornament and can be conveniently placed anywhere in your home. Purify the air you breathe in with various essential oil fragrance. Get That Pinterest Home Style With These 10 Amazing Home Décor Ideas!